We meet the demands of our clients, with our efficient Water Treatment Maintenance Services. Our services includes annual maintenance, consultancy and up gradation and services of existing plants. With the aid of our experienced engineers and technocrats, we have been able to offer our services in accordance with international standards and practices. Our services have gained appreciation from our customers for professional approach, timely execution and cost effective solutions. We provide service for Upgradation & Maintenance of Existing Plants. 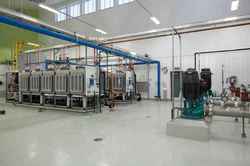 The industrial RO plant updating & sea water plant updating will be done as per the customer’s requirements. Depending on the up gradation, we handle the service. If full up gradation is done then the plant is considered as new and it comes under warranty service else it is put under paid service scheme or AMC scheme. We are leading Service provider for ETP Operation & Maintenance Services and our services are of good quality. With a view to attain maximum client’s satisfaction, our customers can avail these services round the clock for operation, trouble shooting, servicing and overhauling of treatment units. 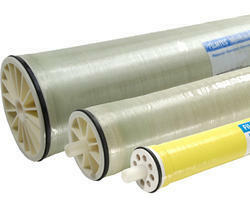 We are the leading Consultant for Water treatment plants the product and services provided by us are of good quality. * The consultancy is executed in the form of the subcontract in the main project undertaken by other companies or industries. Looking for Water Treatment Maintenance Services ?